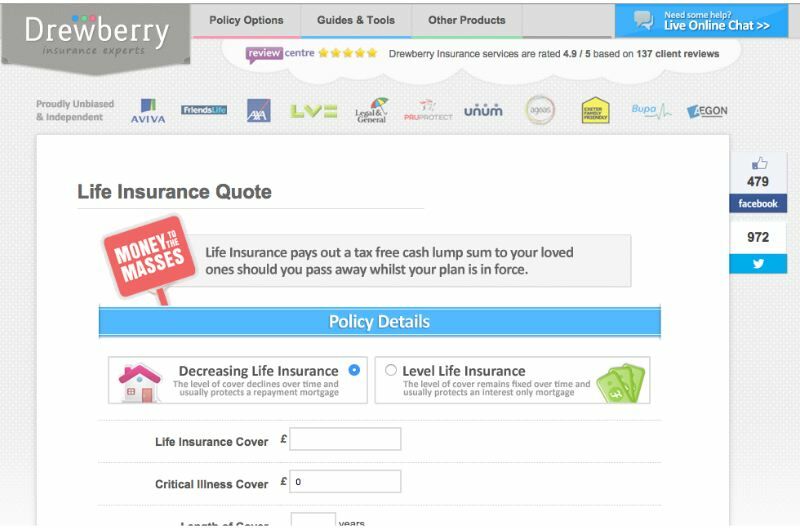 We've have sourced the best life insurance policy comparison tool in the market to allow you to quickly compare life insurance policies from the UK’s leading insurance companies. Just click on the image below to get started and find the best policy for you. In the rest of this page we discuss the different types of life insurance policy and help you decide which is best for you. The most popular type of life insurance is term insurance. A term insurance policy will payout a lump sum in the event of the death of the life insured within a given term. So for example a 20 year term insurance policy will pay out in the event the named people on the policy die within the next 20 years. If you survive 20 years then the policy ceases and has no value. A level term insurance policy is a policy where the amount of life cover remains the same throughout the term of the policy. This is useful where the life insurance need remains level, for example if it is to pay off an interest-only mortgage in the event of your death. As the mortgage is interest-only the size of the debt remains the same throughout so the level of life insurance also needs to remain level. A decreasing term insurance policy is a policy where the sum assured reduces over the term of the policy. This policy is often used to provide for the repayment of any outstanding mortgage if the policyholder dies within the term. This is the cheapest life insurance type and should be seriously considered by anybody with a mortgage. An increasing term insurance policy is a policy where the sum assured increases over the term of the policy, typically the premiums will also increase over the term of the policy. The policy is designed to allow the sum assured to keep in line with inflation over the term of the policy. This is not widely used because it is really only suits a situation where the life insurance need increases at a steady rate. Typically people's life insurance need jumps (for example when they buy a bigger house) so they will instead typically review all their existing policies and purchase additional life cover if required. Although not strictly a life insurance policy, critical illness insurance is a policy that is often taken out at the same time as a life insurance policy. A critical illness policy will pay out a lump sum if the life assured is diagnosed with a critical illness during the term of the policy. If a person is diagnosed with a critical illness then a lump sum is useful to pay for any outgoings such as treatment or to replace lost income or to clear a mortgage. The definition of what constitutes a critical illness policy varies from life insurance company to life insurance company. How do I decide the best term for a life insurance policy? A term insurance policy is normally used to cover either the outstanding term of a mortgage or for a period when you have dependants reliant on your income. One of the first things you need to do is check if you have any life insurance cover provided by your employer or if you took out any when you arranged a mortgage. Do remember, however, any life insurance provided by your employer will cease once you leave that company. It is often quoted that a decent level of life cover would be 10 times your current annual net pay. This amount would provide a lump sum to replace your income over that period. The actual amount of life insurance cover chosen will often be dictated by your budget and may be substantially lower than the figure suggested. The best thing to do is to get an online life insurance quote for the level of cover you think you could need in order to see the cost. It is then possible to work backwards to secure the maximum amount of life insurance for your budget. As a minimum a life insurance policy should be enough to cover any outstanding mortgage. How do I decide on the term for a life insurance policy? If you want a life insurance policy to clear your outstanding mortgage in the event of death then a term equivalent to the outstanding term of your mortgage should be chosen. If you want a life insurance policy to provide a lump sum for your dependents then you should calculate the number of years until your youngest child finishes full-time education and use that as the term of the policy. Should I have a single or joint life insurance policy? A single life policy will pay out a lump sum on death for the life assured only. A joint life policy will usually pay out on the first death only, within the term of the policy, upon which the policy will cease. A couple who take out 2 single life policies will still have life cover, on the remaining life, if there is a claim on the other policy. A joint life policy will usually be marginally cheaper than 2 single life policies but this is not always the case especially if the two single life policies are bought from different life insurance companies. How are the premiums on a life insurance policy calculated? Life insurance companies employ actuaries to assess the risk of any applicant dying within the term of a policy. There are number of factors that can affect the cost of premiums. When applying for a life insurance policy a medical questionnaire is completed by the applicant and a doctor's report on their health may be required. If an applicant is considered a higher risk then cover may be offered but at a higher premium. In extreme cases life cover may be declined. You should always be honest about your medical history as a failure to declare any existing health conditions can result in a claim being declined. It is also worth bearing in mind that different life insurance companies treat each medical condition differently when it comes to setting the monthly premium. The best life insurance company and therefore the cheapest life insurance policy for you will depend on your personal medical history and lifestyle. 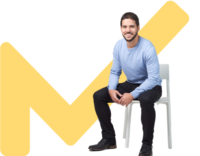 A life insurance specialist (such as the company which provides the life insurance quote comparison tool above) can tell you which life insurance company would be best and cheapest for you. Why should I compare life insurance policies? Life insurance companies differ in how they calculate the risk on any given life application. It is essential that you compare quotations to ensure that you get the best life insurance policy for your needs. We've have sourced the best life insurance policy comparison tool in the market to allow you to quickly compare life insurance policies from the UK’s leading insurance companies. Just click on the image at the top of this article to get started and find the best and cheapest life insurance policy.